In accordance with prophecy, in 2010 I'm on a mission to get the word out about the revolution that's going on in employee communications. In the first week of March I'm going on the road with my friends Suzanne Salvo and Steve Crescenzo on a week-long speaking tour of the American South (more like a traveling circus) that will bring us to San Antonio, Atlanta, and Tampa Bay with half-day seminars focusing on social media, visual communications and creativity. Later in March I'm building on those themes as the organizer and host of RonCon 2010, a full-day conference with killer pre- and post-conference sessions in Vancouver March 22-24 and Calgary March 24-26. I have a new-found admiration for anyone who organizes conferences. Putting RonCon together has been a huge learning curve for me -- negotiating with hotels, figuring out online registration software, getting a merchant credit card account, making travel arrangements for the speakers, soliciting sponsors, and the list goes on. But it's all done now, planning-wise, and my attention is turning to consulting projects and, of course, making sure I get bums in seats for RonCon. And posting here once in a while. 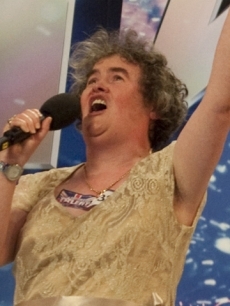 In a recent blog post, techno pundit Robert X. Cringely uses Susan Boyle's stunning performance on Britain's Got Talent (sitting at 37 million views as I'm writing this) to illustrate the power of the Internet to create shared experiences. "Marshall McLuhan, who seems smarter every day, called it The Global Village. He said communication technology would link us together in ways we couldn’t imagine and those ways would lead to common experiences and shared values. McLuhan didn’t know about the Internet when he wrote that and he sure as Hell didn’t know about Twitter. But his prediction came true.....[And] every time our Global Village comes together in this way, it’s because of a shared delight that makes us feel more alike and less apart. We could all use more of that." Are today's communicators helping create meaningful shared experiences in the workplace? Or are we too busy shoveling information onto intranets that no one wants to read? Sadly, the only true shared experience in many big organizations is the frustration of dealing with bureaucracy. It's time for a change. Time to build the Corporate Village.